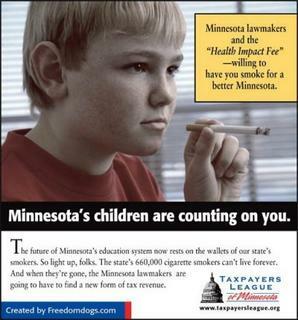 Minnesota implemented a similar tax in 2005 for the very same purpose. Thousands of flyers above were handed out to Minnesotans as a public service announcement. In signing the Children’s Health Insurance Recovery Act into law Feb. 4, President Obama expanded SCHIP — already covering 7 million children — to provide coverage for another 4 million children who have working parents and don’t qualify for Medicaid but can’t make enough for private health insurance.